At the American Hockey League level, development is at the forefront. The league is, after all, one step away from the NHL. 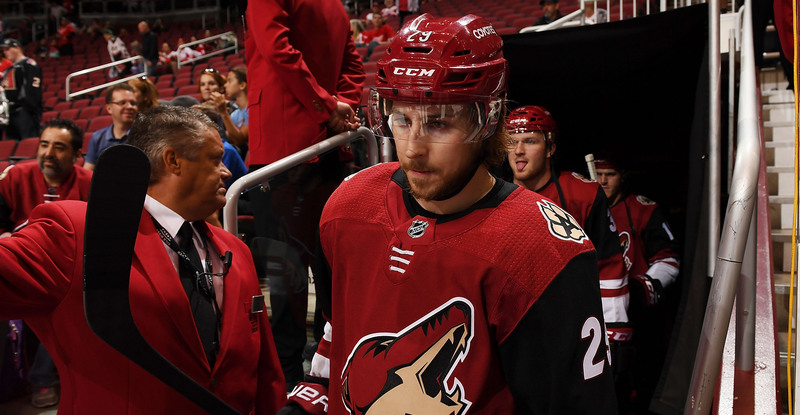 Growth among the Arizona Coyotes' pool of youthful, promising prospects was quite apparent during the 2017-18 campaign. Two years into the farm team's relocation from Springfield, Massachusetts to Tucson, a move that drastically cut the mileage between the Coyotes and their development pool by 2,500 miles, the effects have been monumental - whether it be the simplicity of travel or the tight-knit relationships hockey operations are now able to maintain with its assets in a more convenient fashion. 14 names from the Roadrunners earned recalls to the Arizona Coyotes during the 2017-18 campaign, a group that combined for 80 NHL games played and 17 points (8G, 9A) scored. Of the aforementioned group of 14 recalled this season, 10 dressed to appear in live action with the Coyotes: Kyle Capobianco (1 game), Lawson Crouse (11 games), Laurent Dauphin (2 games), Joel Hanley (5 games), Adin Hill (4 games), Mario Kempe (18 games), Nick Merkley (1 game), Dakota Mermis (9 games), Trevor Murphy (8 games), and Dylan Strome (21 games). Andrew Campbell, Emerson Etem, Hunter Miska, and Mike Sislo were each recalled at one point, but never appeared in a game. 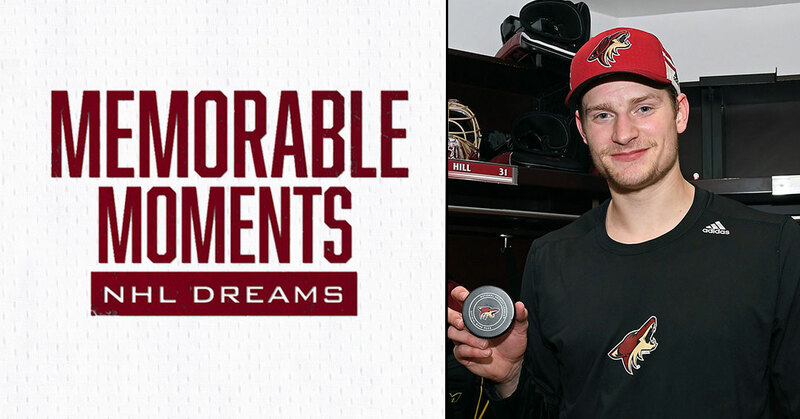 Six players made their NHL debuts in Coyotes uniforms after time spent in Tucson this season, highlighted by first-career goals from Mario Kempe and Trevor Murphy, along with Adin Hill’s first-ever win. 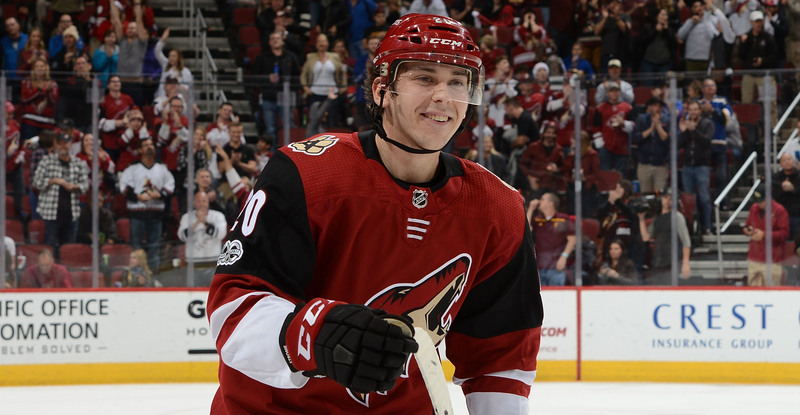 Dylan Strome, who made a splash with Arizona a season prior, buried his first NHL goal as well. Through two seasons, a total of 19 players have earned the right to don an Arizona Coyotes jersey via an American Hockey League recall, with 10 of those names making their NHL debut during. It is, after all, a process, and Tucson's proven to be a vital part.